If you’ve been desperately waiting for the availability of this egg-shaped, self-sustaining EcoCaspsule, then you’ll be glad to know that it’s finally available for pre-orders. Yes, you read that right. 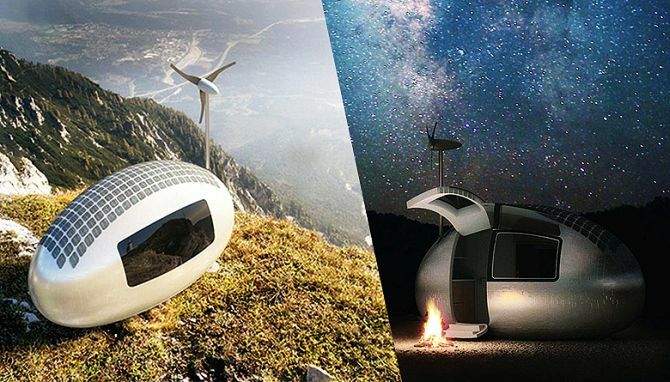 Developed by Slovakia-based Nice Architects, the solar-powered and wind-powered portable housing offers complete off-grid living to traveling enthusiasts, no matter where they go. 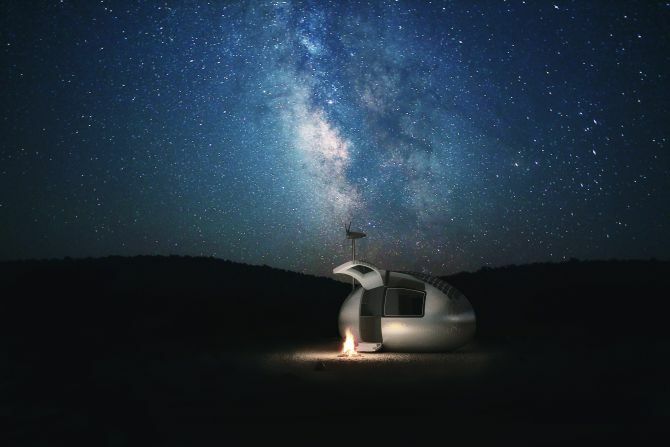 But if you really want to get your hands on this high-tech mobile home, better act now as the first run consists of only 50 pods. 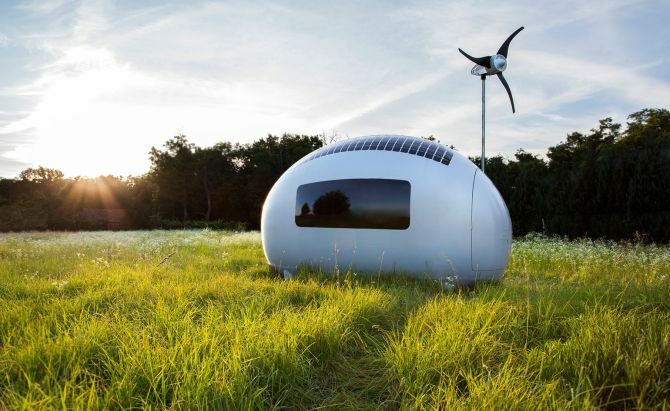 Clad in insulated fiberglass and aluminum shell, the EcoCapsule runs solely on sustainable energy sources such as 600 W rooftop solar panels and 750 W low-noise wind turbine. The fully-charged pod stores energy in its 10kWh battery that can further provide electricity for at least four days at an average 2.2 kW per day rate of consumption. 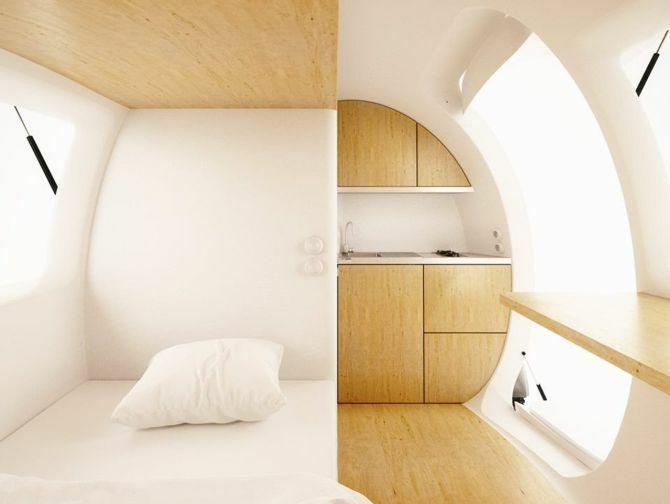 The tiny pod covers only 8.2 of floor space and measures 4.46 x 2.25 x 2.60-meters, but the interior is designed for maximum utility for two people. It includes a folding bed that turns into a sofa in the morning, a small kitchen with two-burner stove, a dining area, a bathroom with shower and composting, a waterless toilet and also has plenty of space for storage. Moreover, furnishings are made out of lightweight honeycomb panels that are finished with wood veneer. To maintain its low-energy design, the futuristic mobile home is further installed with energy-efficient LEDs, two 350-liter water storage tanks and rain water harvesting/filtering system. 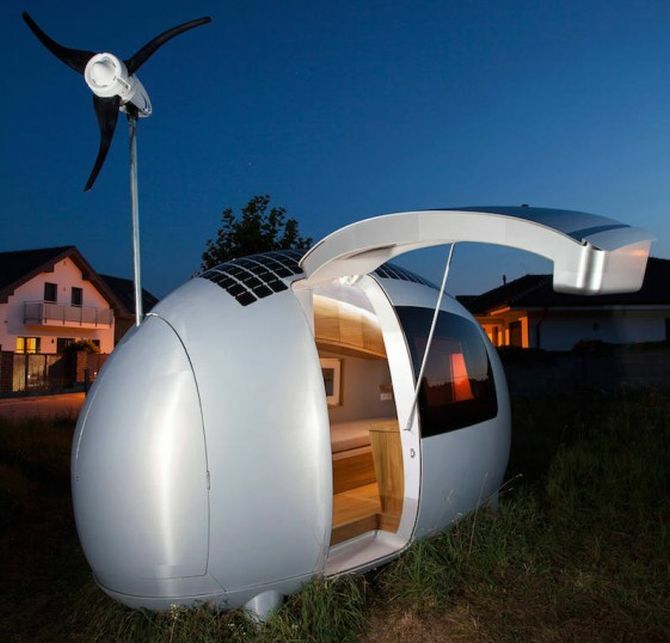 Set on four small wheels for easy transportion, the eco-friendly shelter can be easily towed by a car. So, it is a perfect housing solution that can become an emergency home or simply a shelter that travels with you. The limited edition 50 EcoCapsules can be pre-ordered for €79,000 (approx. US $85,700), excluding shipping charges and taxes. For now, pre-orders are limited to European countries, U.S., Canada, Australia, and New Zealand. The shipping will begin in the late 2016 or early 2017. But in case you miss the first lot, don’t worry the second generation EcoCapsule will be available in 2017 for a lower price with worldwide shipping. Is Apple planning to launch solar-powered iPhone 7 in 2016?